Printable calendars can be useful in many ways. Print a blank calendar or an agenda and use it to track habits, run a meeting, and more. Digital calendars provide lots of flexibility, and make real-time edits easy, but there’s something special about a paper calendar. It’s tangible. It’s easy to use, without needing wifi or devices. And having your calendar or agenda on paper can help focus attention. Choose the blank calendar format that works best for you. Go to the calendar view you want to print (weekly, monthly). Toggle off all calendars so no events show up on your calendar view. Click on the Settings bar and choose “Print and Export PDF.” Choose the settings you want (orientation, format, color, and sidebar visibility). You can refresh the view to see if the options are right. Click the print icon when it’s ready. Clicking the Print option will open a preview window with print settings. You can also print a calendar with items on it. 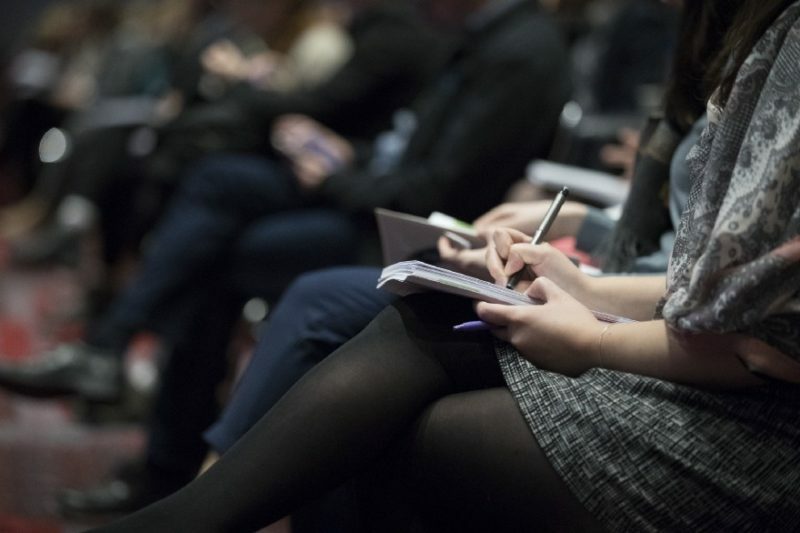 This is a helpful feature if you want to share an agenda or timeline in a meeting, event, or group, but don’t want to distract people with screens and mobile devices. 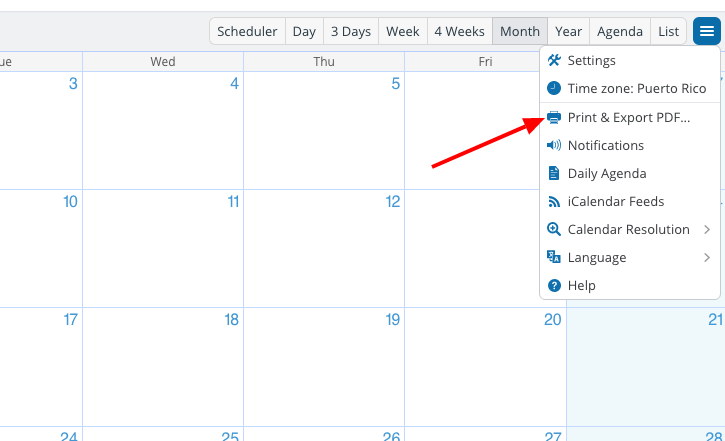 Go to the calendar view you want to print (Agenda, List, or Day are best for printing with items). Toggle the calendar views so only the events you want to share are visible. Click on the Settings bar and choose the Print option, then adjust the settings and print. A Family Vacation calendar ready to print in Agenda view. There are many ways you can use a printed calendar. Here are a few ideas to get you started. Keep track of a habit. Print a blank monthly calendar and hang it somewhere obvious: over your desk or your bed, or on the bathroom mirror, maybe? Jot down your habit on the top, then put a big checkmark on each day that you complete the habit. Run a meeting. Add all the items you want to address in the day’s meeting to the printable calendar as separate events; then print an agenda or list view of the day. Plan a vacation. Print out a calendar with the dates for your vacation, then sit down with your family to plan out your activities. Create an editorial calendar. Use a printed monthly calendar to set themes or post types for each week or day that you publish. Reference your editorial calendar as you plan out specific posts. Keep a food journal. Make note of your meals, snacks, calories consumed, eating times, and more with a printed weekly or monthly calendar. Create a reading journal. Use a monthly print-out for a simple log (pages read per day, perhaps?). Use a weekly or daily printout to make notes on what you read. Build a training schedule. If you’re getting ready for a marathon or other athletic event, you can use a printed calendar to write out your training plan. Put it where you can see it while you train for easy reference. Capture memories and highlights. Use a printed calendar as a handwritten log of the highlights of each week. Work on a group project. 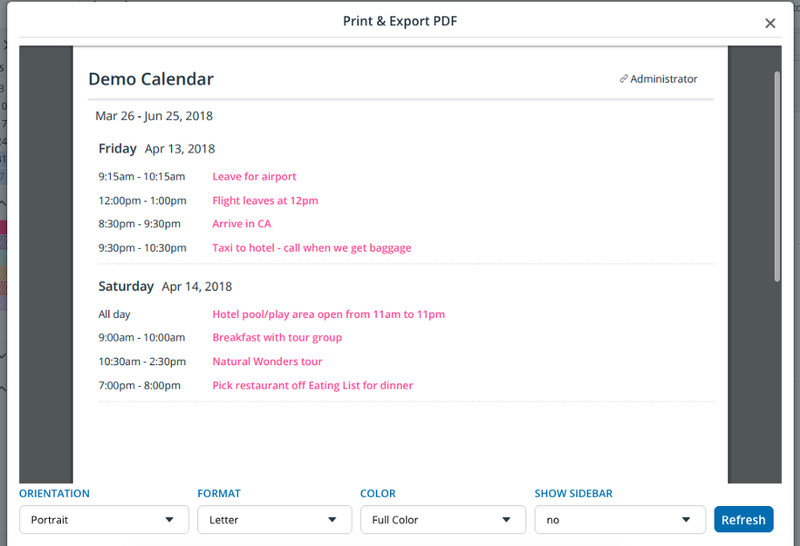 Add milestones and tasks to the calendar, then print out an agenda view for everyone in the group. Keep track of birthdays. Print out a blank yearly calendar, and highlight the days for birthdays, anniversaries, or other celebrations. It’s an easy, quick reference. 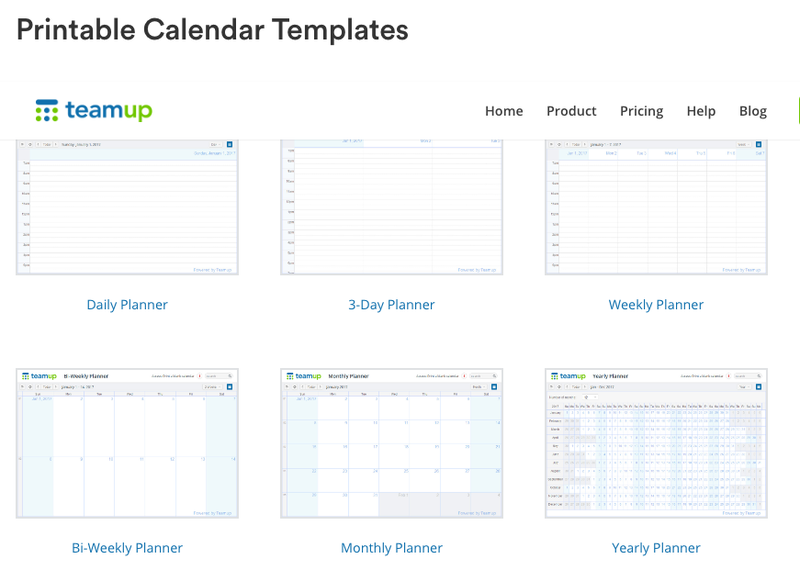 Of course, you can apply any of these ideas — from habit tracking to journaling and more — with a digital Teamup calendar. Get even more ideas from the user stories on our inspiration page. Header photo by The Climate Reality Project on Unsplash.